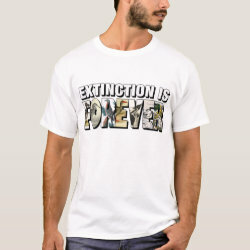 This design delivers a powerful message using text and graphics. 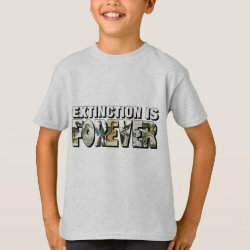 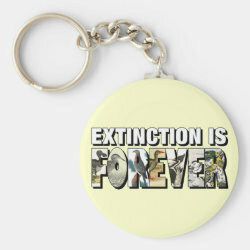 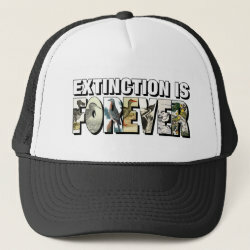 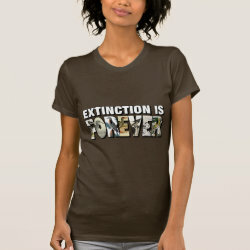 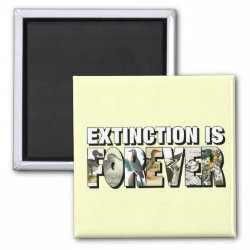 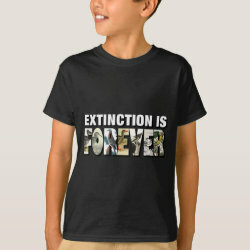 The message is "Extinction is Forever". 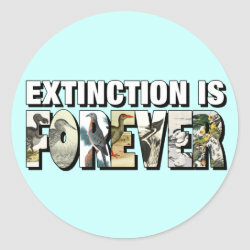 The letters of FOREVER are filled with images of More... birds that we have lost to extinction. The birds are: Dodo; New Zealand Little Bittern; Passenger Pigeon; Rodrigues Rail; Ivory-billed Woodpecker; Labrador Duck; and Carolina Parakeet. 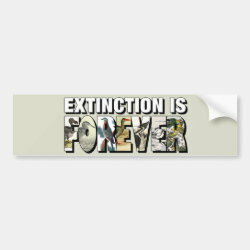 Never forget what we have lost with this powerful graphic design.